Yesterday I asked if we had SBS. Being a minority sport here, and therefore unattractive to commercial TV, every World Cup game is free to air on the station affectionately known as “sexa before soccer” (real name the Special Broadcasting Service, a national public broadcaster featuring programmes of a multicultural nature). Victoria Square has a large screen set up, but it’s a bit early and cold. 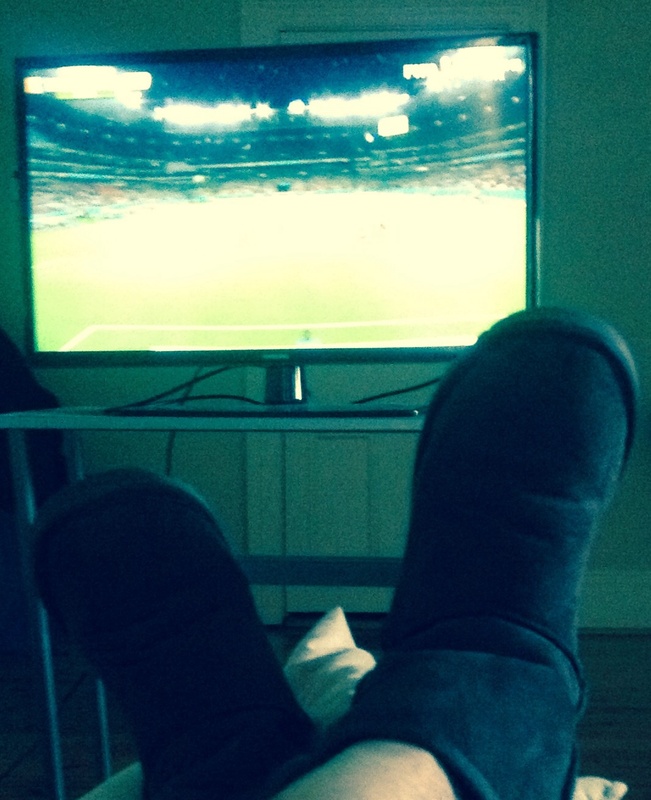 So here I am at home, dressing gown, Ugg boots, bleary rather than beery, watching the world game in the missing hours of morning. Since half time, the Socceroo’s have picked up the tempo. Good work by Leckie on the right. I shout at the TV, “Give it to Timmy!” He does and they score to level the match. But no. Flag’s up. Offside. Different world. Same old game. World Cup Brazil 2014, Aussie style.